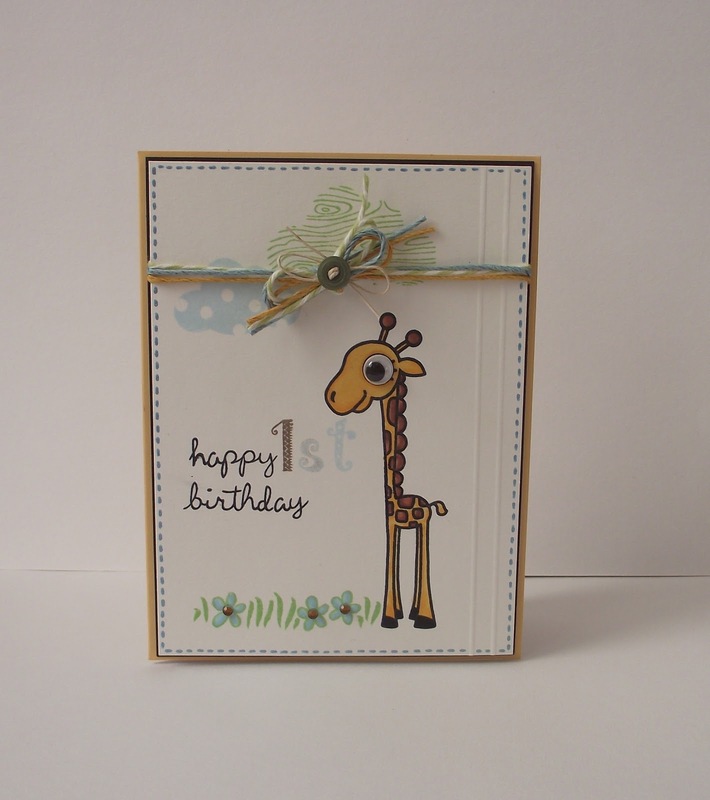 This is a first Birthday card for the cutest little guy! I really love Paper Smooches stamps, this giraffe was perfect. This is the first card that I have used so many different lines!